This jelly recipe is using fruit juice and not the ready to use jelly mix. 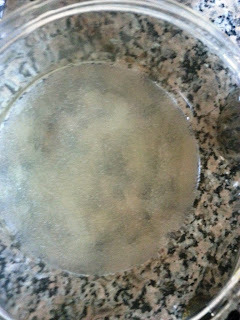 I really loved the outcome of this jelly and I will be trying to make this with a variety of fruit juices. Try this and you will never switch back to the ready to use jelly mix. I made apple and strawberry jelly as these were the 2 fruit juices I had handy. You can make with a single fruit juice or any combination of fruit juices of choice. Choose 100% fruit juice preferably without sugar and preservatives. 1. 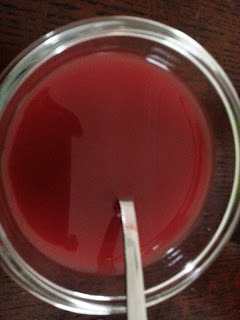 This jelly is made in two stages as it uses two separate fruit juices making two separate jelly layers. You can set the jelly in a serving bowl or in dessert moulds. 2. 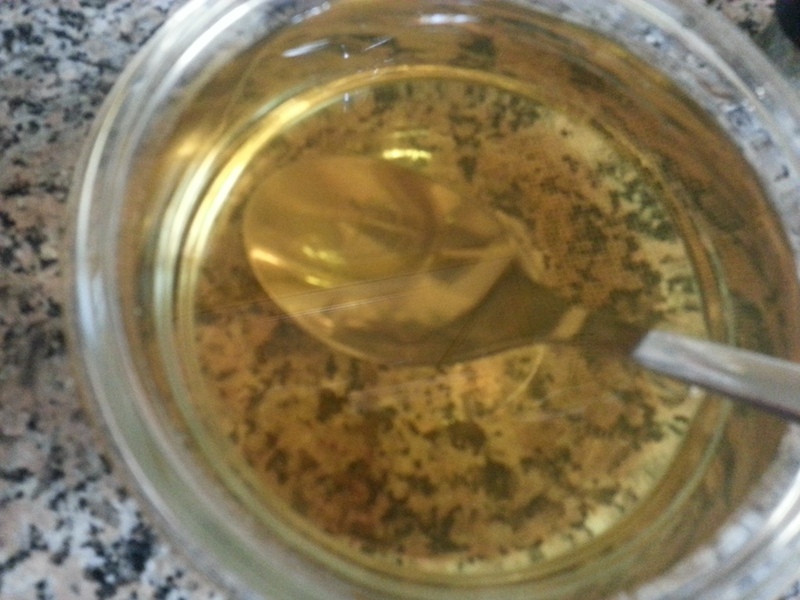 Take 1/6 cup (40ml) water in a small bowl. Sprinkle 1.5 Teaspoons of unflavored gelatin powder over the cold water. Keep it aside for 5 minutes till the gelatin swells up and becomes spongy. 5. Take it off heat and let it cool down. 6. Pour into serving bowls or moulds and refrigerate for 3-4 hours until set. 7. Prepare the strawberry jelly using strawberry juice and unflavored gelatin by repeating steps 2-5. 8. 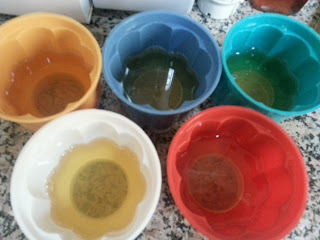 Once it completely cools down, pour it over the set apply juice jelly and refrigerate again for 3-4 hours or till set. 9. When ready to serve, you can garnish with chopped apple or strawberry or even whipped cream.